What better gift for a baby girls Christening? Our precious decorative pillar candle is bespoke to each recipient. 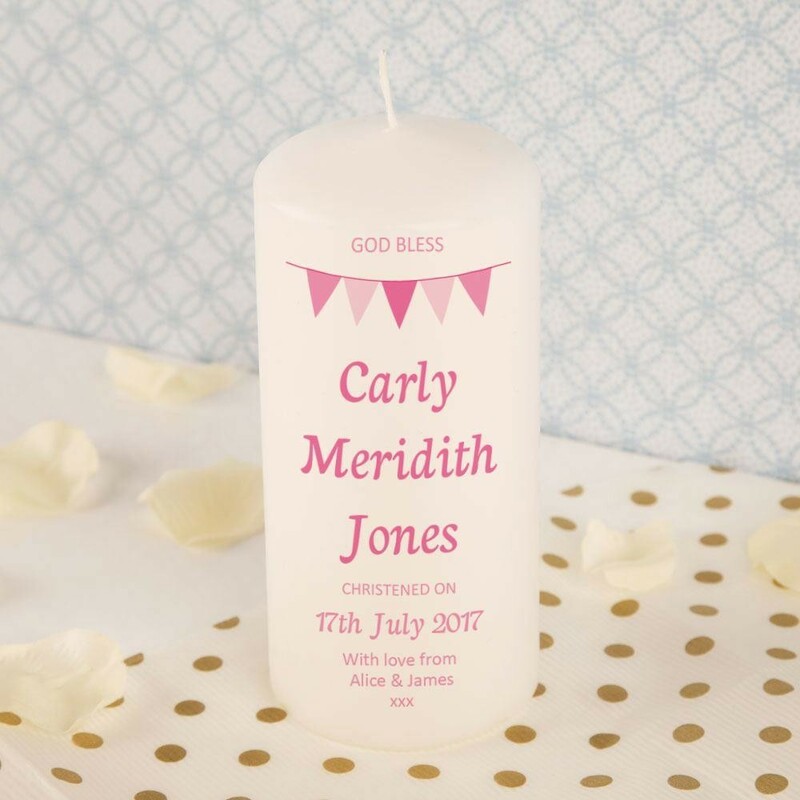 Not only does it include the baby's name but also her Christening date and even a short message! We think these touches make it a truly unique gift. They are sure to own nothing quite like it. All of our quality candles are produced and printed in Britain by our team of professionals. 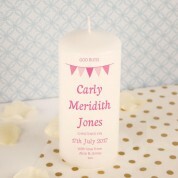 The white candle features cute pink bunting, with plenty of space for her full name in stylish italic pink text. The message at the top reads: “God Bless”. Below is a generous sized space for baby's Christening date and a personal message. We package it to you in a luxury organza bag with a draw string ribbon, so it is all ready to give as a gift. You will want to avoid burning it for years to come!